It has taken me several months to write to you … and I don’t even know your name … or if you’ll be visiting my part of the planet. I guess it’s taken forever because this stuff is too close to my heart and therefore very difficult to empty onto paper. But I wanted to write you anyway just to make sure you and the family would be okay. I know we’ve never met, but I think about your safety. I think about your children’s safety. I’m over here in North America, not too far from 38º N, 122º W. Though much of what I’ll share will be helpful to you no matter where you are in the world, there will be some details that may be specific to this area … and it’s for this reason I hope that other Black parents around the world will also write to you. This will be the first of several letters I’ll send your way. Hopefully you’ll receive them all. You can think of them as a life guide and love letter to Black parents. Truly, those parents who aren’t Black but have Black children can benefit from these letters as well. But right now, my heart is with other Black parents: those who look at their child’s skin—from dark black to olive—and see their own. It’s for those parents who feel Africa shining through their child’s waves and naps and see that this is the same Africa that shines through their own hair. These letters are for those of us who have old wounds that get reopened every time our child’s capabilities are underestimated, every time our child gets excluded from a game, every time our child is teased about her/his hair, every time our child is hit, kicked, or pushed by a white child, or every time our child gets harassed, beaten, or killed by the police. These are some of the things your child will encounter when you come to Earth—the things that over time can cause our children to question their own humanity. Family, I write these letters to you. What I will share with you may save your life and your sanity—not to mention your child’s. And if it doesn’t, well then, at least it will save you time. This life guide-love letter begins with more questions than answers. I ask myself daily how I should raise my 6-year old daughter to love being Black (as well as being Filipino, Puerto Rican, and Jamaican)? Are my husband and I doing a good enough job helping her understand the impact of white supremacy on the world, while keeping her from getting consumed by it to the point of debilitation? Will my child know that she is capable of being a scientist if she is only complimented for the way her body moves? How do I convince my child that her hair is beautiful when people everyday call her hair wild, wiry, and bushy? My husband and I have found some answers to these questions; we had to because Baby Girl’s survival and sanity depended on it. Baby Girl must learn (or at least be familiar with) the ways of white, male, upper/middle class, straight, Christian-centered folk because she is surrounded by these spheres and will be judged daily by how well she adheres to their spoken and unspoken standards that even they are sometimes unaware of. I want Baby Girl—my firecracker, my spark plug—to continue being the compassionate, talkative, goofy, quick-witted, feisty, funny, smart child that she’s always been. Though we’re not experts, I think my husband and I are doing a great job making this happen, especially considering all we’ve exposed her to, all the conversations we’ve had, and all the laughs we’ve shared. But, I must admit that I’m tired. Molding counterhegemonic armor for a 6-year old child, making sure it is small and light enough for her to wear, is some kind of sick, warped task Black parents perform daily without exploding. Meanwhile, the white world remains clueless about how our time is spent. There are many hours in my day when I resent the burden of this task. But I will continue to do it for my daughter’s protection, especially if it means my work will preserve her silly laugh and her bright eyes. 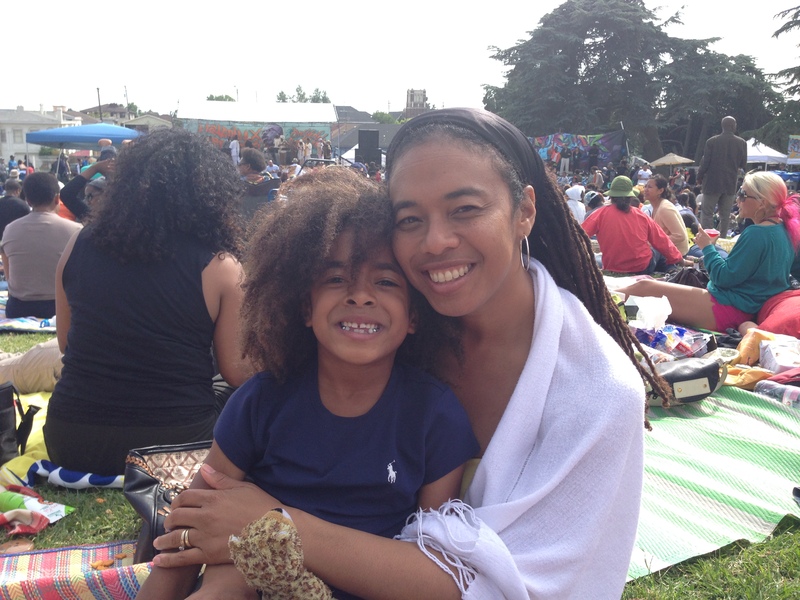 I am determined to spare my daughter the hatred I harbored toward my own Blackness when I was growing up. That self-loathing—the anguish, the disappointment, the disgust—was beyond unnecessary. I want to ensure that Baby Girl develops a love for her nut brown glow, her African halo of hair, and all the rest of her that is African and African-American in heart and spirit. In order to cultivate this self-love, as her parents, we need to make sure she is surrounded by positive reflections of herself in classrooms, libraries, universities, and businesses; in books, television, billboards, and magazines; in toys (and packaging for toys), children’s websites, and apps. She needs to know she comes from a long line of authors, scientists, healers, political leaders, artists, and more. She needs to know that she, I, we exist. After the death of my parents during my teenage years, I went many nights feeling alone, vulnerable, and unsupported, cradled only by nightmares of being forever abandoned and forgotten. Though I had relatives who did their best to provide me with food and shelter, laughter and love—gifts I will always be grateful for—there was something else my heart needed that I couldn’t give words to. Years later, I realized what I needed was protection, or better yet, security. I needed a security rooted in the part of my bloodline that the world would see as all too powerful—so powerful, the world would inflict the most toxic, unwarranted violence upon it to erase all evidence of its existence, and then be free to walk in daylight with impunity and step into the spotlight for applause. This security needed to be born from within the heart—the heart being known to the Yoruba as “okan,” the seat of emotions, thought, and action. [i] I envision this security being a force field emerging from my okan, spreading all around it to protect it from harm but still allowing love to enter. I had no instruction manual to use when I was both mother and father to myself. I suppose subconsciously I created a force field for my okan as I daydreamt about what my future would look like: what university I’d attend, what profession I’d undertake. I dreamt of ways I would protect and defend my own child if I were a parent. I imagined the ways I would help her maintain pride in her African-American heritage and all other parts of her heritage. Now, here I am: a mother. I love my daughter. I will do everything I can to protect her. But I also know I must teach her how to defend herself and find love and security within. I learn how to do this everyday; and often Baby Girl is my teacher. So, in my next few letters, I will share with you what I’ve learned about instilling love and security in my own child. May your children find the resilience, confidence, and pride to silence the nightmares I pray they never have. [i] Babasehinde A. Ademuleya, “The Concept of Ori in the Traditional Yoruba Visual Representation of Human Figures,” Nordic Journal of African Studies, 2007, http://www.njas.helsinki.fi/pdf-files/vol16num2/ademuleya.pdf.